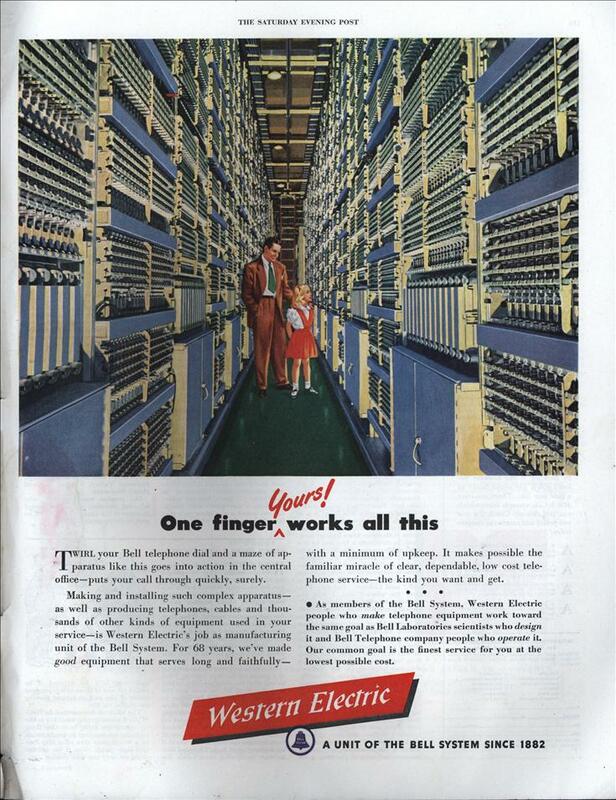 Making and installing such complex apparatus— as well as producing telephones, cables and thousands of other kinds of equipment used in your service—is Western Electric’s job as manufacturing unit of the Bell System. For 68 years, we’ve made good equipment that serves long and faithfully — with a minimum of upkeep. It makes possible the familiar miracle of clear, dependable, low cost telephone service—the kind you want and get. As members of the Bell System, Western Electric people who make telephone equipment work toward the same goal as Bell Laboratories scientists who design it and Bell Telephone company people who operate it. Our common goal is the finest service for you at the lowest possible cost.